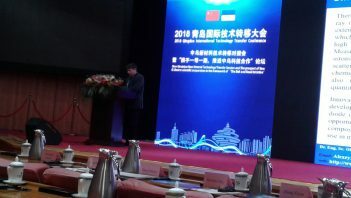 One Belt – One Road: China Comes Closer – National Technical University "Kharkiv Polytechnic Institute"
The People’s Republic of China (Qingdao, Shandong) held International Scientific Hands-on Conference “Development of Chinese–Ukrainian Science and Technology Cooperation within the framework of the initiative “One Belt-One Road”. 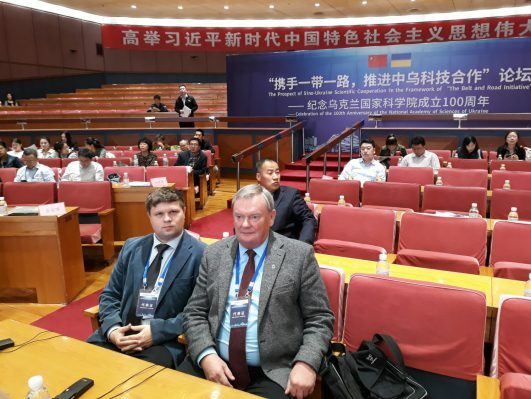 This event united leading experts in the field of science and education from Ukraine and China with participation of more than 40 Chinese companies interested in cooperation with Ukraine in the field of innovations. The participants from NTU “KhPI” were Oleksandr Goncharov, head of International Relations Department and Prof. Oleksiy Larin, deputy director of the Education and Science Institute for Engineering Physics at KhPI. International conference reckoned a number of official meetings and the session with reports and presentations. The representatives from KhPI carried on negotiations with colleagues from different departments of Harbin Institute of Technologies (HIT). 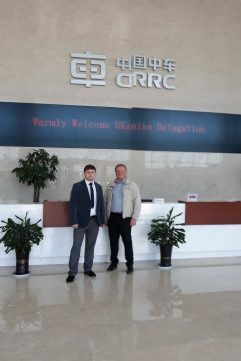 Prof. Oleksiy Larin met Prof. Mingjian Sun, deputy dean of the School for Informatics, concurrently deputy director of the Laboratory for Innovative Unmanned Aerial Vehicles of HIT in Weihai. They discussed possible realization of joint projects in the field of education and scientific developments and the agreement was reached on creation of conditions for mutual academic mobility of students and teachers, they also worked out the action plan for sharing experiences in the related scientific fields of both parties. 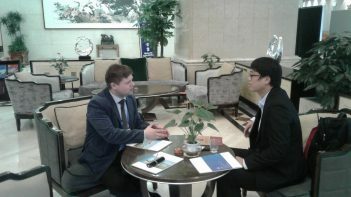 Oleksandr Goncharov, head of International Relations Department of KhPI held the talks with Chen Xiao, manager of the Project of the science park of HIT and Luo Jia, a representative of Harbin Research Institute for Industrial Technologies. He presented the information about NTU “KhPI”, its structure and the main fields of research, including different cooperation options. 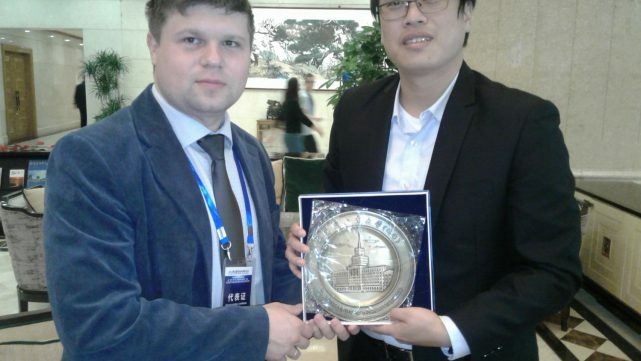 The representatives of Chinese party became interested in the possible realization of joint projects. They would like to scrutinize the proposals of KhPI on international cooperation, see into the projects submitted for the conference and in the nearest future to get their proposals on possible cooperation options. KhPI had presence in the session of contribution reports. Professor Oleksiy Larin spoke of the peculiarities of teaching process at the University and key research areas touching also the issues of international activities. Consideration was given to some scientific projects that were realized in cooperation with foreign partners. 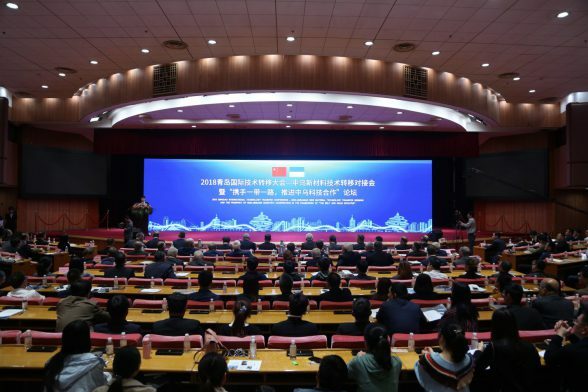 These projects were related to the branches that can be of interest for Chinese universities, industrial companies and research centers willing to participate in the development of cooperation and realization of joint science and technology projects. 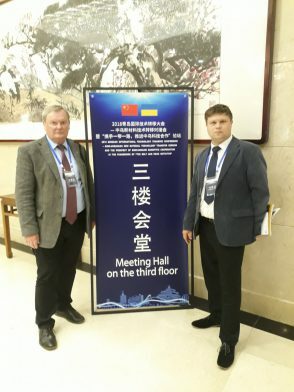 We would like to note that the description of the projects of NTU “KhPI” that were presented for the conference and proposed for consideration to Chinese partners was given in the collection of Ukrainian projects. It was distributed among the participants of the event, mailed out to leading Chinese libraries, institutions of higher education, industrial companies and the firms. We would like to recollect that in September 2018 the delegation from the People’s Republic of China headed by Yao Weike, President of the Chinese Association for International Science and Technology Cooperation paid a visit to NTU “KhPI”. The purpose of the visit was to realize the strategy of the PRC “One Belt-One Road” aimed at the development of international scientific cooperation and familiarization with KhPI, including the discussion of optimal ways required for the realization of scientific projects. The representatives of China held the talks with the management of NTU “KhPI” and they invited KhPI scientists to participate in this conference. 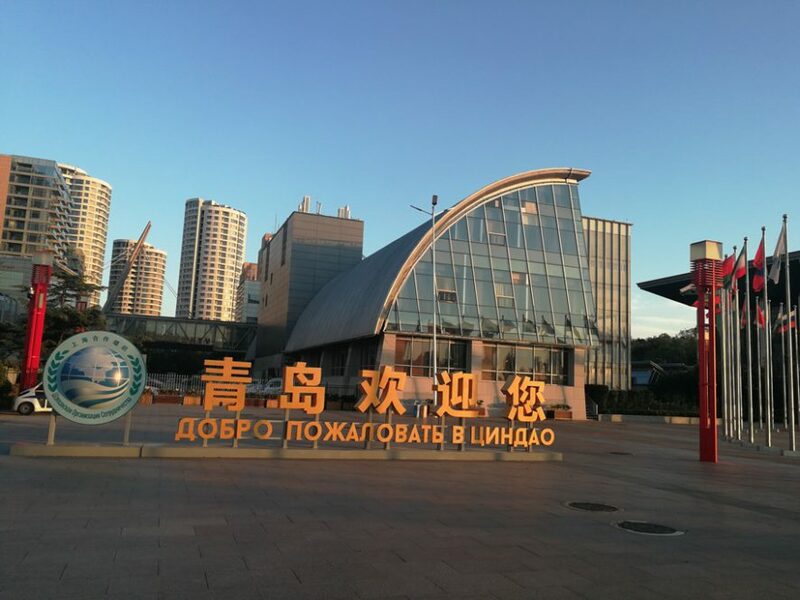 Joint Ukrainian-Chinese Scientific Hands-on Conference “Development of Chinese–Ukrainian Science and Technology Cooperation within the framework of the initiative “One Belt-One Road” was held in the People’s Republic of China (Qingdao, Shandong) on October 25-26. It was devoted to the celebration of the centenary of the National Academy of Sciences of Ukraine. The Ukrainian delegation was headed by Anatoliy Zagorodniy, the vice-president of the National Academy of Sciences of Ukraine. The participants of Ukrainian delegation were the representatives of E.O. Paton Electric Welding Institute, Institute of Engineering Thermal Physics, I. M. Frantsevich Institute for Problems of Materials Sciences, Institute for the Chemistry of High-Molecular Compounds, Institute for Metal and Alloy Physics and Technology, Z. I. Nekrasov Iron & Steel Institute, Ministry of Education and Science of Ukraine, leading national universities — National Technical University “Ihor Sikorsky Kyiv Polytechnic University”, National Technical University “Kharkiv Polytechnic Institute”, The National Aerospace University “Kharkiv Aviation Institute”, Kharkiv National University of Radio Electronics. Chinese participants of this event were the representatives of the People’s Government from the city of Qingdao, Ministry of Science and Technologies of the People’s Republic of China, scientific and educational centers and more than 40 Chinese companies interested in the establishing of cooperation with Ukraine in the area of innovations. The purpose of this visit was to promote scientific exchange of scientists and specialists, bilateral science and technology cooperation, and present the research achievements of Ukrainian scientists to the attention of the representatives of industry and companies in Shandong province. 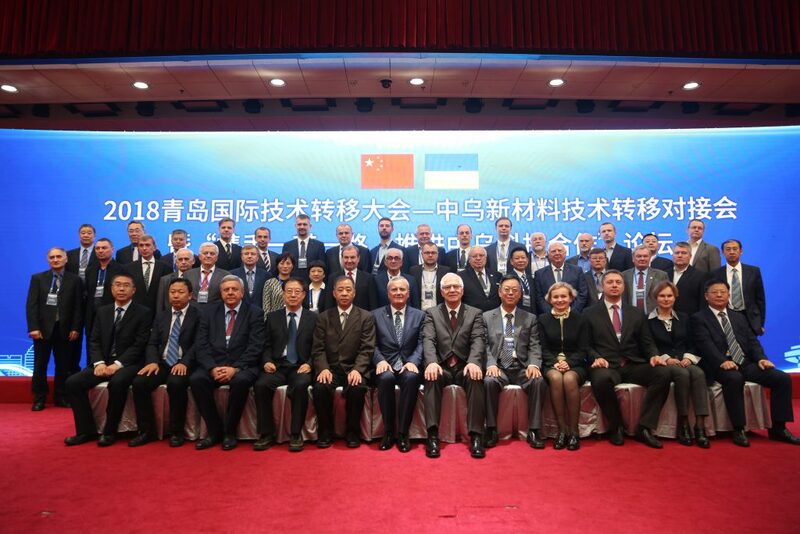 Within the framework of the Conference the Ukrainian delegation headed by Oleg Dyomin, the Ambassador Extraordinary and Plenipotentiary of Ukraine to PRC held a meeting with Zhan De Pin, vice-mayor of Qingdao. During the meeting, the parties expressed their mutual interest in the further development of bilateral relations in economic, scientific, engineering, cultural and liberal spheres and the interregional cooperation.